If you rely on the newsstand for supplying your magazine fix and not subscriptions, you might want to change that strategy. The parent of Source Interlink Distribution — one the nation’s largest magazine wholesalers — has filed for Chapter 11 bankruptcy protection. 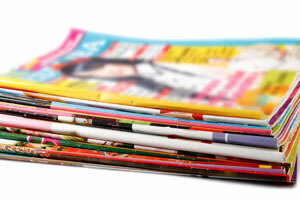 With Source being shuttered, a magazine shortage could be on its way. Source’s reach was far and wide. It distributed about 30 percent of the nation’s magazines to more than 32,500 stores. The New York Post reports that the distributor’s closing will impact Time Inc. — which publishes popular titles like Sports Illustrated and People — the most. Without Source, the publisher said it expected to see operating cash flows drop by $12 million. Source Home Entertainment, parent of Source Interlink Distribution, reported liabilities of $290 million and revenue of $600 million in a recent filing. The company listed assets of $205 million.